The body is curly cherry with morado binding & fret board cap. Purfling is holly & morado. 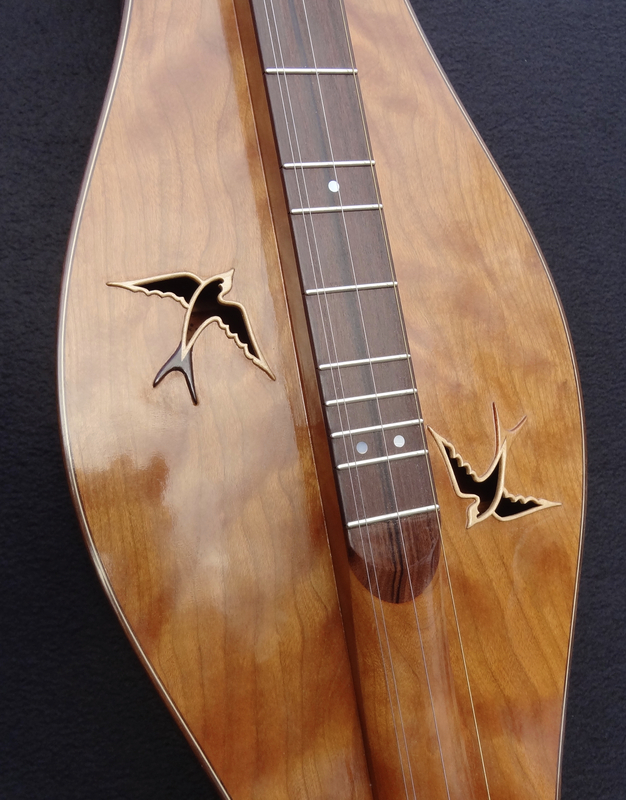 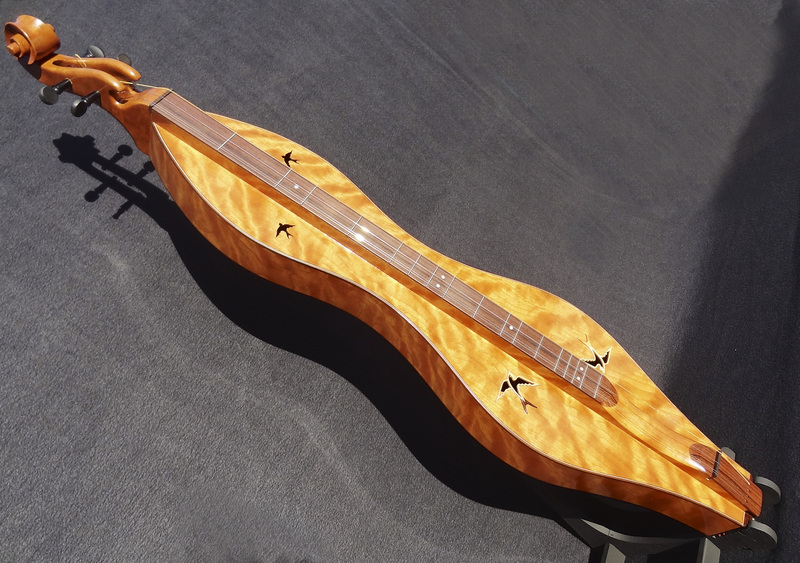 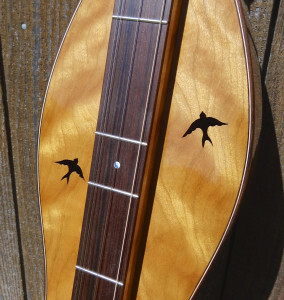 Hand-carved swallow sound holes are Christina’s design and are maple, morado & canary-wood. 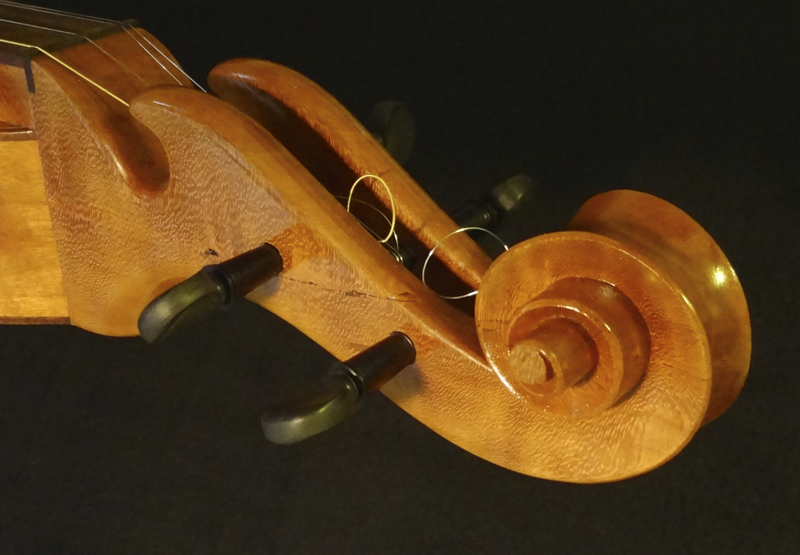 The finish is shellac and a French Polish.